Cutting out alcohol without medical guidance can be dangerous for chronic drinkers, as shown by the death of Nelsan Ellis. Learn more about safe withdrawal methods. In early July, actor Nelsan Ellis died from complications due to alcohol withdrawal. A statement from Ellis’ family revealed that the star of HBO’s True Blood struggled with drug and alcohol addiction for years. It also explained that his solo attempt at sobriety after several rehab stints prompted a host of fatal health issues — including heart failure. Ellis wasn’t alone in his struggle. The National Institute on Alcohol Abuse and Alcoholism states that 15.1 million adults had alcohol use disorder in 2015. The disorder, by definition, is a chronic relapsing brain disease marked by compulsive alcohol use, loss of intake control and a negative emotional state when not using. About 1.3 million adults received treatment for the disorder at a specialized facility that same year, according to the institute. No matter a person’s circumstances or disease severity, getting professional help is crucial. Why might a person develop an addiction to alcohol? Jouney: There are many reasons that would increase a person’s likelihood for addiction. Genetics, the person’s underlying psychiatric history and their social environment are three key factors. It’s a number of things working together. What is happening to the body during withdrawal from alcohol? Jouney: A person’s central nervous system will react when alcohol is abruptly removed from their system. The person will develop a variety of symptoms that include anxiety, insomnia, elevated blood pressure and heart rate, sweating and tremors. In more severe cases, a person can have seizures. Depending on the individual’s physical health, the alcohol withdrawal can be medically complicated and may necessitate a hospitalization, including a possible stay in the ICU. 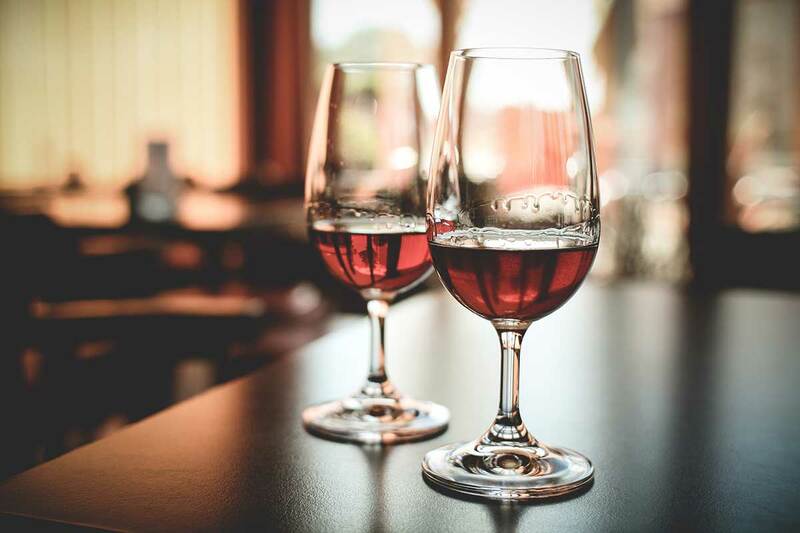 The most severe form of alcohol withdrawal is a condition known as delirium tremens (also called alcohol withdrawal delirium), which is when the alcohol withdrawal syndrome is accompanied by confusion, psychosis and significant agitation. This condition requires urgent medical intervention and can be life-threatening. What is the most effective way to overcome an addiction to alcohol? Jouney: Getting professional help is the best way to overcome an addiction. If you had a heart issue, you wouldn’t try to handle it on your own. Several forms of treatment exist; they differ in their intensity and duration. One is medical detoxification, where a person is medically withdrawn from alcohol. A person is evaluated and monitored while provided with medical support in the hours and days following abstinence from alcohol. This is done on an inpatient unit at a facility. The person is given medicine to help with withdrawal. The second part of the medical detoxification process is more focused on psychological intervention that includes group therapy. Another form of rehab is longer term and is called residential treatment. A person lives in a treatment facility for 30 days or longer and receives more specialized care. Choosing medical detoxification or residential treatment depends on a person’s individual need. What are the dangers of people trying to withdraw from alcohol when they are alone? Jouney: One of the biggest concerns is seizure. It’s possible they could fall and hit their head and have a brain injury. Also, having a seizure while driving can be very dangerous for obvious reasons. My other concern would be the medical complications from the alcohol withdrawal itself. Withdrawal can put a strain on the cardiovascular system through the cardiac/pulmonary complications. What are the dangers of mixing alcohol with other substances like opioids? Jouney: Mixing alcohol with opioids can create a cumulative effect — alcohol is a sedative. An overdose can lead to death, but adding another substance can create more complications. What should you do if you think someone you know has a problem with alcohol? Jouney: Encourage the individual to seek treatment. A person should not attempt to treat addiction on his or her own. Addiction is a serious medical condition and requires specialty care. They need to be in the hands of a professional who understands the illness. Family members and other loved ones should be encouraging and try to assist the individual in locating an appropriate treatment facility. Sitting with the individual while he or she makes the first phone call can be supportive and will ensure that the appropriate steps are being taken.